Hair Cap Moss For Sale - Low Prices Online & Fast Ship! The little piece of moss was actually a large piece that she was able to angle around the whole plant - over the rocks. Over all, it's even better than expected. The Hair Cap Moss is a low-growing plant that is also called Great Goldilocks and Wheat Moss, due to its bright, golden caps. Hair Cap Moss – Polytrichum Commune.It is considered a medium – to – large moss that is common to New Zealand and Australia but is well-known in areas such as Mexico and numerous islands on the Pacific. The leaves of the Hair Cap Moss grow to 8 mm in length, and it has long flowering shoots. Its bright-colored caps and growing durability make it an ideal ground cover in landscaping areas that need soil erosion assistance and color added to the surrounding greenery. Hair Cap Moss is thick, tall moss that tends to grow in moist areas where it rains often. Hair Cap Moss can be found naturally along wetlands, swamps, and rivers. This moss can grow up to 2 feet tall, with leafy tufts of green color. This moss can be grown indoors in terrariums and aquariums where moisture is extremely heavy. Hair Cap Moss will have deep roots which are why most places will ship this plant with soil attached. They have small brown leaves with a hint of dark red. 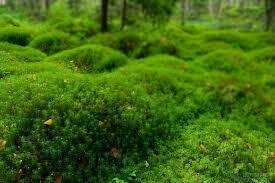 The Hair Cap moss is commonly found around the world because of its natural growing abilities. It can adapt to many different types of soils, sunlight, and zones. Hair Cap moss has been dated back to the AD period. The hair cap moss grows best in clay and sandy soil but needs soil that drains well. This moss is most commonly used as borders, along driveways or walkways or even planted in flower beds and natural areas because it can grow in places that other plants do not. The hair cap moss has small green leaves and merely is soft to the touch. Hair Cap Moss grows very similar to how grass grows because the roots are deep and can easily be transplanted. This moss has three different shoots, and the male and female are separate.